NEW - the Sigma Beauty Bunny Collection! We were extremely excited to introduce our latest synthetic and cruelty-free brush set earlier this week. The Bunny Collection features 100% synthetic, vegan bristles among 12 brushes that deliver seamless makeup application. 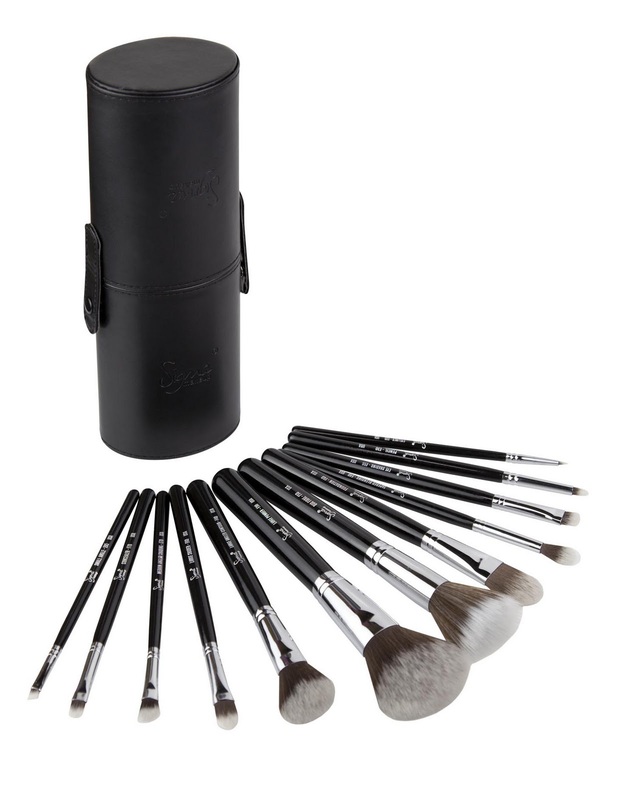 The brushes come in a unique and functional container that conveniently turns into two brush holders. Choose between Mr. Bunny - classic black brushes with silver ferrules, or Mrs. Bunny - baby blue brushes with pink ferrules. Each one is also available in a seven-piece travel size set! Go glam while going green with this must-have collection of brushes. What are you waiting for, get gorgeous and buy the bunny! Want more vegan brushes? Check out the Sigmax Synthetic Essential Kit, the Miss Tayor Hollywood Glamour Flat Top Retractable Kabuki, the Breakfast with Audrey Hollywood Glamour Retractable Kabuki, or the Princess Grace Hollywood Glamour Retractable Kabuki! The new collection looks awesome! I only wish I can afford them! Thank you, Katherine! We're glad you like it! Como faço para ter esses lindos pincéis pra mim, sou do Brasil e me apaixonei por eles. Do you have plans to launch different coloured brush holders? Not at this time but we will pass the idea along to product development! Do you have plans for different coloured brush holders? Now this item is out of stock,when will be the collection back for sale? why the mrs bunny travel kit isn't on sale? has the mrs bunny collection been discontinued? No, it is not discontinued, just currently out of stock. 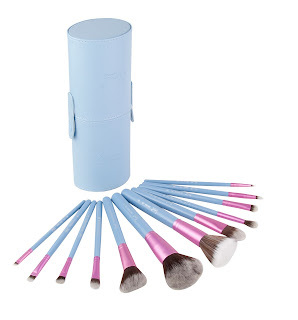 Please email contact@sigmabeauty.com if you'd like to be added to the notification list. onde posso comprar essa coleção aqui no Brasil ? Is Hollywood glamour retractable kabuki brush no longer available for sale?